Taking your Official 8th Grade Visit is a great way for a student to experience a day in the life of a CBC Cadet. Please know that our school will do everything to ensure that your son’s visit is a positive and meaningful experience. Below are some of the most Frequently Asked Questions. If you still have questions, please feel free to contact us. An 8th grader on their Official Visit will go to three EXPERIENCE CBC classes, where he will participate in classes designed specifically for our 8th grade visitors. 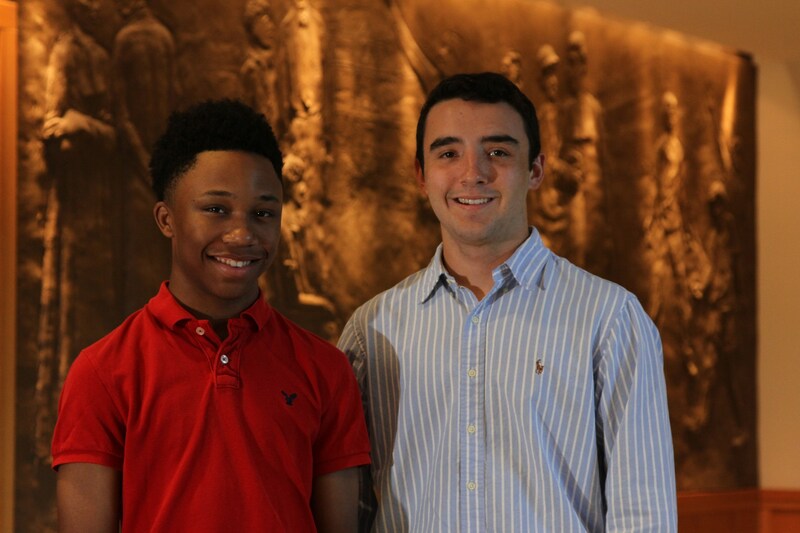 In addition to the EXPERIENCE CBC classes, he will also get to meet with a current CBC student, attend one of his classes, and eat lunch with him and a group of other students. At the end of the day he will participate in our EXPLORE CBC period where he will have an opportunity for three, 10-minute meetings with coaches, moderators, or faculty representatives of programs in which he is interested. He can ask questions, hear more details about the programs he cares about, and get a sense of what it would be like to be a part of those programs. How many students can participate in an Official Visit per day? 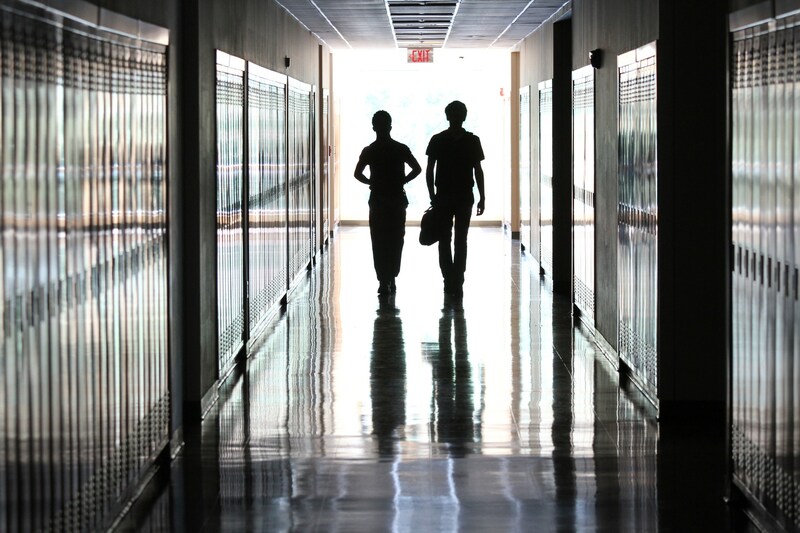 In order that each Junior Cadet can receive individual attention while minimizing the disruption to the academic day, we limit the number of students who are allowed to shadow to 15 each day. How far in advance do I need to call to schedule my son's Official Visit? How do I reserve an Official Visit day? Those interested in participating should contact Melissa Ryan Admissions Assistant, at ryanm@cbchs.org or call (314) 985-6095. What about lunch? Is it included or does the Junior Cadet need to bring a lunch? If you participate in the Junior Cadet Shadowing Program you are a guest of CBC. Lunch is on us and you will dine on freshly prepared food made by the chefs at HMG Culinary. This is NOT your typical cafeteria cuisine! What is the dress code for a Junior Cadet? Because we would like to give the most comprehensive CBC experience, Junior Cadets are required to follow CBC’s dress code which consists of a collared shirt and dress pants, belt, tennis shoes, socks. Please no cargo pants or shorts. Can my Ambassador be a CBC student that I already know? If you know a current student, please let us know at the time you schedule your visit. In many cases, we can pair you with that CBC student as your Ambassador. What if there is an emergency while my son is at CBC? Junior Cadets must leave an emergency number with the main office where a parent or guardian can be reached. CBC does have a school nurse on staff to accommodate if immediate assistance is required or medical needs must be met. New for This Year...VIP Official Visit Days! These days are typically offered on Friday's during September-October and reserved for groups of 5 or more. These days offer you an extended experience of CBC. After the regular shadow day ends, we will host you for fun activities such as a trip to Sky Zone, a behind the scenes tour of the Fox Theater, or go-kart racing at Pole Position. We conclude the day by returning back to campus where you and your family are invited to join us as our VIP guests at a CBC sporting event, band concert, or theater performance. Don't miss out on a fun-filled day, so schedule now! 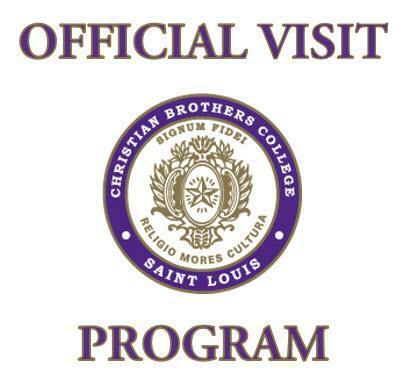 If you have any additional questions or are interested in scheduling a VIP Official Visit, please contact Melissa Ryan at ryanm@cbchs.org or call (314) 985-6095. Any other questions about the Official Visit Program?